Memorial Wall which tells the aboriginal perspective commemorating the significance of the first known contact between Aboriginals and Europeans. The wall is built in three sections. 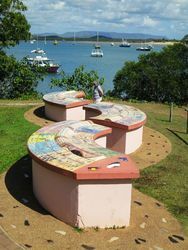 *Part 1* explains the Creation Stories and shows how the Endeavour River and Cooktown were made. 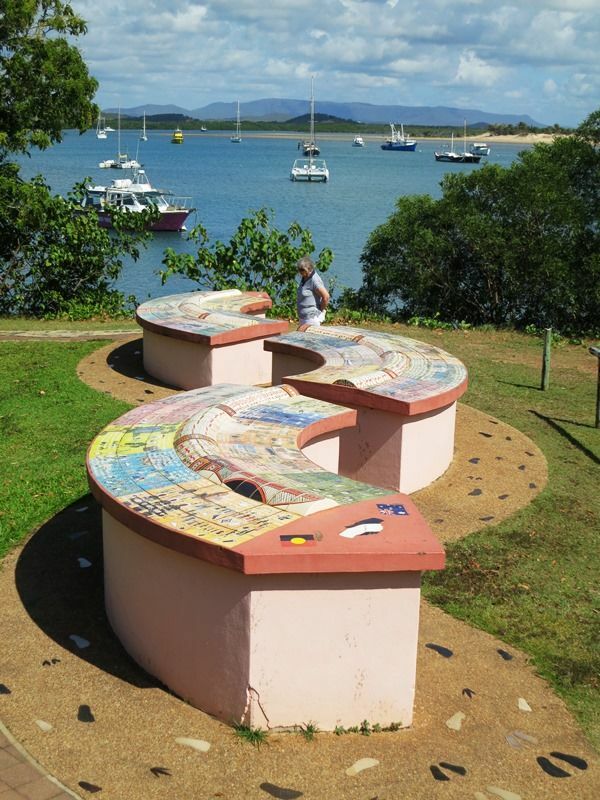 *Part 2* commemorates the first historic meeting between Aboriginal people on the Cape York Peninsula and Captain Cook, his crew and the naturalists and scientists that accompanied him. It traces the history of Aboriginal people from the early settlement times and the gold-rush days, until the Second World War. *Part 3* depicts the important 1967 referendum when the Australian people overwhelmingly recognised the right of Aboriginal people to equality with all other Australians and it shows the advances Aboriginal people have made as well as recognising the problems they have faced. 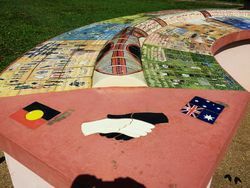 The Milbi Wall ( Story Wall ) is a community based project funded by the Australian Local Government Association under the Local Councils Remember Program , the Local Government Government Association of Queensland ( Aboriginal & Torres Strait Islanders Employment Unit) : and the many local people who so generously contributed their talents and skills.